Apple launched a new e-textbook service last week that is claiming to “revolutionize the textbook industry.” With major partners as McGraw-Hill, Pearson, and Houghton-Mifflin on board, the service is poised to offer a robust collection of e-textbooks in the updated iBook store. In addition to purchasing textbooks educators can create their own textbooks using iBook Author. The lure of lighter backpacks is a pretty good one. My initial question is, how are schools going to be able to afford an iPad for every student? Will this be an expense put on parents? If Amazon starts a competing service with the Kindle Fire, price would not be as much of an issue. The Kindle Fire is less than half the price of an iPad 2. Prior attempts at using the Kindle for textbooks have been somewhat successful with a few schools here and there using it for pilot programs. There were also attempts at using the Kindle DX to hold college textbooks because it has a bigger screen. Despite positive reviews on the programs, they never really took off. Right now, the new e-textbook service seems to be focusing on the K-12 market with high school textbooks going for $14.99 or less. What about college textbooks? They’re the ones that students have to fork over the money for themselves. They can also be expensive. Professors have a lot more leeway on what they can teach so they will probably benefit more from iBook Author than K-12 teachers will. I think that e-textbooks are going to play a larger role in the future, but I don’t see it taking off just yet. Aside from the price still being steep for the iPad, there is still a learning curve and adjustment period for both teachers and students. Tablets are already being used as valuable tools in education through apps. It just takes time figuring out how to utilize them the most effectively. Will Amazon launch an e-textbook service to compete with Apple, or will it continue to appeal to the “masses” with the vast collection of books available in the Kindle Store? I would say the latter for now, because Amazon’s strategy is to reach out to everyone, not a niche market like Apple does. As e-textbooks become more mainstream and in higher demand, it will be more in Amazon’s best interest to provide them for the Kindle platform. It is no secret that Amazon has its eyes on getting Kindles into schools. That was pretty clear even before the Kindle DX pilot programs and Kindle textbook rentals. The best part of that for them is that many students and teachers would just love to adopt the new technology. Unfortunately the issue of accessibility has gotten in the way of such efforts in the past and seem likely to intrude even more so now with the release of the $80 basic Kindle. The initial efforts to get students and teachers to adopt the Kindle met with some complications. There are objections to the eReader in general, based on the idea that, since students are trained from early on to highlight and annotate their books while reading actively, they will find themselves less engaged than usual in non-paper books. This isn’t unreasonable, but it basically amounts to the argument that things shouldn’t change because things have always been this way. A bit circular. At best, this side implies that early adoption is essential. We also get people concerned that a Kindle will be a bad long-term investment due to the stranglehold of the Agency Model on pricing, which results in less substantial savings than seem reasonable. This was more of a concern in the past, and will probably come up rarely now that an $80 Kindle is available. The fact that students now have an extremely cheap option open to them that can borrow library books and rent texts from Amazon will likely be a big draw. Official endorsement, and the potential for textbook replacement that that would provide, is still unlikely. The legal complication regarding accessibility remains a large one. Since eBooks cannot provide equal access for the visually impaired, they can’t replace textbooks in most school systems. The Kindle seemed to be on its way to addressing these concerns with features like Text to Speech, but even that isn’t quite there yet. It doesn’t help that publishers can turn the feature off, of course. With the new Kindle’s complete lack of audio capability, the existing objections gain even more traction. Now even if Amazon did find a reasonable way to address the conversion of print to audio that satisfied opponents, there would still be the problem of it not being applicable to the most affordable level of the price tier system. If I had to make a guess, honestly, I would say that Amazon seems to have given up on the idea of formal adoption by the school systems. The new approach, which definitely seems to have more potential, is a direct marketing to the students and parents of students. It avoids bureaucracy and still manages to save everybody money in the long run. As eReaders in general and the Kindle in particular become ever more common, it won’t be too hard to get educators to be a bit more open to their presence in the classroom. Lots has been done to make it more possible, from real page numbers to shared annotation, to make the Kindle more appealing in this market. They’re not going to abandon it entirely. It’s that time of year again and students new and old are heading back to college for the fall. Now, more than ever, having an eReader just makes sense for anybody serious about their education. That said, with so many options on the market it can be hard to choose. Kindle or Nook? eReader or Tablet? Skip it all and just get a laptop, since there are eReading apps anyway? When trying to decide, there are a few factors that are really important. First, determine what your eBook needs will be. Students new to college can expect significant introductory coursework. This often means older, more widely read works of literature and basic textbooks. Generally this means extended reading of the literature and textbooks only pulled out to work through assignments. For that combination, I recommend an eReader like the Kindle or Nook combined with a PC app for textbook reading (They’re only going to be opened for a few minutes at a time anyway). As always, check the list of required texts to make sure this is feasible before buying. This combination has the added advantage of paying for itself in savings very quickly since a Kindle will only cost you $114 and many commonly used books can be found for free. In terms of more advanced students, the individual needs will determine whether use of an eReader is feasible. Many technical texts require both extended study and full color diagrams to make sense. The current monochrome limitations of the Kindle would make it less than useful for this. If the program in question requires extensive illustrated textbook reference, you probably don’t need one. If you will be spending much time using academic text references like JSTOR, or focusing on purely text-based studies, the Kindle makes perfect sense. Assuming you have an idea what kind of product you need, the next step is choosing the particular model. Availability is not really a concern with the Amazon Kindle always including free shipping and the Barnes & Noble Nook available in all of their local stores and many of the college book stores they service. For the most part, this is a matter of personal preference. Both devices accomplish everything you would expect from a reading device and neither has a clear advantage over the other. For a hands-on comparison, many Best Buy stores will have both devices side by side. I do not recommend using nothing but a laptop PC if the goal is to focus on eBooks. Extended reading on LCD screens can be uncomfortable at best, and the potential for distraction is far higher than on an eReader. Similarly, there are no circumstances under which I would consider an iPad a valid substitute for either a laptop or an eReader. In terms of reading, they fall short due to the short battery life and a back-lit display that can be hard on the eyes during long study sessions. In classes, the potential for distraction is far higher than on something like a Kindle, which has led to many instructors being uncomfortable even having the devices present in the classroom. They also certainly do not manage to work as well as a laptop for composition or presentation preparation. Students will be forced to perform necessary tasks elsewhere. Whatever the needs, make sure to keep in mind both the Kindle eText rental service and public domain titles available through the Kindle Store (or just Project Gutenberg) for free. Making use of eBooks will save you money, if you are careful, even accounting for the costs of the reading device. With the addition of games and puzzles, the Kindle has become much more than an e-reader. Now, you can use the Kindle as a means to learn math as well. For the Basic Math learning tool, kids can brush up on their addition, subtraction and multiplication skills. There are five difficulty levels that correlate with common mathematical concepts. Interestingly enough, children might be using the Kindle for math even before they can read well enough to use it for reading! 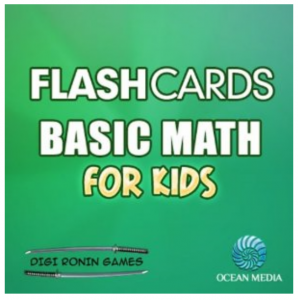 The Basic Math tool is a new and exciting way to learn math. This alone, should entice more children to want to learn, and to become more familiar with the Kindle. In the past, the e-reader has primarily targeted adults, but I’ve seen more and more children’s books become available. Both applications can be used as a study guide and gives quality feedback for correct and incorrect answers. The Fractions learning tool for Kindle is laid out the same way as the Basic Math tool and has four levels of difficulty. The simple fractions such as ½ are in a lower difficulty level, and the more complex fractions such as 3/7 belong to the more difficult levels. Both Basic Math and Fractions were release this week, so there aren’t any reviews yet. I am interested to see how well the Kindle does as an interactive tool. By that I mean, how it does with filling in blanks for answers, etc. I hope to see the Kindle and Kindle DX continue to take on a much larger role in education for all ages. Remember the Kno? It was an interesting idea that was taken by many to be an impossible or doomed project many months ago. The basic idea was that a tablet PC optimized for educational needs and being about the size and weight of a standard undergraduate textbook would go over impressively in the same market where the Kindle failed to make an impression in early tests. Well, as of 12/21 the thing has actually entered the market! The major selling points seem to be the focus on textbooks and note taking. Looking through the initial offerings, there seems to be quite the selection of digital textbooks already and supposedly more deals are on the way. Particularly interesting for many will be the textbook rental option which will allow students to grab their texts for just a semester at a time for a reduced price. How many people end up needing their Biology 101 text after their first year anyway, right? Right along with that, the fact that you can write directly on the screen, allowing the potential for easy margin notation or a virtual notepad will address one of the problems with the Kindle‘s classroom usefulness. Ease of use on what is among the most important study related activities for many will help. Beyond that, a lot is riding on the as-yet unrealized potential offered by the app market. Since the whole system is essentially built on the WebKit browser engine, development should be impressively simple and offer a variety of possibilities. The initial offerings of book reading, web browsing, and note taking apps will fill most basic needs, but it’s always best to see some development after the devices have seen some time in the wild, so to speak. On the negatives side, we still have a very narrowly purposed device and a comparatively high price point. 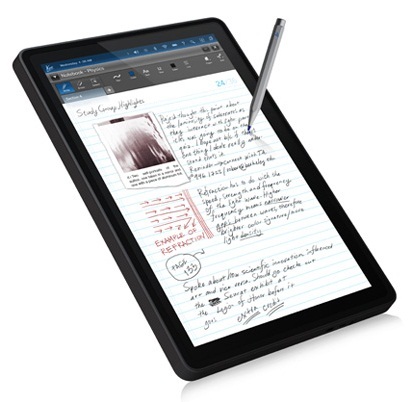 There is no usable USB port, so you’re stuck with the on-screen keyboard or a stylus. It’s a bit on the heavy side as far as something you’re hoping to do any reading is concerned. Also, I have to emphasize that based on the specs this is definitely a reading and web browsing device rather than a PC replacement. It has limited hard drive space, unimpressive speed, and no real expandability. For full tech specs, click here. Overall, I like the product though. As the developers emphasize on the sales site, your investment(whether it be $599 for the single screen 16GB unit or $999 for the dual screen 32GB unit) will pay off over the course of a year or two, assuming the student using it is able to get the majority of their textbooks through the Kno’s text store, which is something you’ve got to hope to be able to do for this to make sense in the first place. It isn’t going to be for everybody. This isn’t a Kindle for book reading or an iPad for general use tablet applications. It’s strictly academic. That said, we can only hope that it sees some success. It would certainly be great to have access to something like this that would really allow eBooks to make a splash in the textbook market. Clearwater High School students just got their own personalized Kindles Thursday that are set to replace their textbooks. It is amazing how quickly the Kindle can solve that problem, huh? Each student got a Kindle that was programmed with their own class schedule. 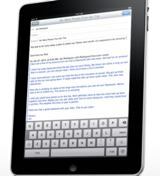 They can take notes, look up words in the device’s built in dictionary and use the text to speech feature. As far as cost goes, the Kindles have saved the school money because it has cut the cost of books. A Kindle is a natural fit for high school students because they are already so technology savvy with texting, Facebook and other technologies. The Kindle makes reading and education so much more engaging and exciting. My question is, how well will these students take care of their Kindles? Regular textbooks are cheaper to replace and often suffer a great deal of wear and tear. Having a Kindle might just teach the students how to be more responsible because electronics can’t take the amount of wear and tear that regular books can. I’m surprised that the Kindle DX has not had as much success on college and university campuses so far. I guess it is because are just not that many textbooks available yet. There are ways to digitize textbooks, but they can require destroying the book. It would also not be very cost effective in the end to digitize the book on your own. It does look promising though that textbooks will soon be available digitally. For science majors especially, who have to lug around really big, expensive books, that would be a lifesaver. The small business start up, Kakai has revealed plans for a dual screen device that will rival Kindle for the classroom. 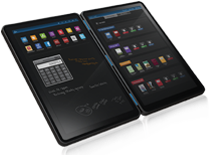 This article from Electronista provides a brief overview of the device. It is not a sure thing yet and it isn’t projected to be available for demonstrations for several months. It will be powered by the Linux operating system and feature LCD display instead of the e-ink technology that the Kindle uses. 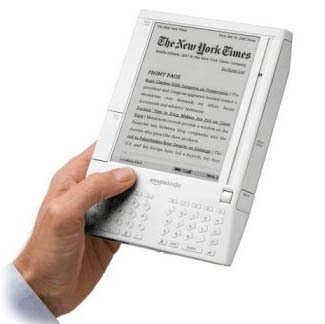 It is said to be both a notepad and e-reader in one with web access and easier textbook downloads. A notepad would be useful for students because it provides an easy way to take notes on the book they are studying. Overall, the Linux operating system has been a computer techie’s domain because of its fully open source nature. It hasn’t really taken off in the mainstream consumer population. There really aren’t many programs compatible with the operating system at this time. However, it might be a totally different ballgame on an e-reader system. The Kindle can be quite clunky at times with slow page turns and download speeds. 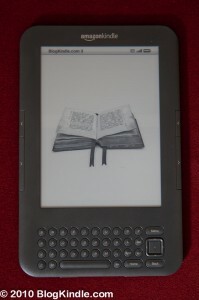 However, the Kindle uses e-ink which supposedly does not cause eye strain like the LCD display does. So that will be an issue that will be interesting to watch in terms of whether it plays any factor in which device is better for educational purposes. Where earlier attempts to target students via eBook readers may have failed to gather steam, as in the case of the Kindle DX, the iPad seems poised for success as prominent universities such as Seton Hill and George Fox have begun programs to provide all incoming undergraduate students with iPads for the upcoming school year. Perhaps part of the appeal for the moment lies in the expanded capacity of the tablet over a dedicated reader device, but it cannot help but give eBooks a boost along the way, especially given the fairly overwhelming response to the offering of the Kindle app for the new device. Certainly it can’t hurt to be getting the device out there and in the hands of students who might not otherwise be able to justify such an untested product as an academic expense. This sort of widespread exposure, while providing a nice bonus for students, also serves as a motivation for teachers who might have been on the fence regarding the move to digital since it ensures that all their pupils will have uninterrupted access to the new medium. Will this solve all the problems and do away with the paper textbook altogether? Not a chance. But where one program succeeds, others are bound to follow and therein lies the chance for a real change for the students. Amazon recently added the reading aloud feature to the Kindle and now the device will be able to read books out aloud so that e-texts are more easily accessible. This step has generally been appreciated by everyone except the National Federation of the Blind. As a result, educational institutions participating in the Kindle pilot program have refused to go ahead with further rollouts. Although NFB’s rejection might seem counter-intuitive on the surface, it actually is’nt. The NFB does not have a problem with the feature itself (and probably does appreciate it) but they do have a problem with the menu system that contains the feature lower within the menu tree. As a result, users have to go through multiple button presses to get to it. Hence, visually impaired individuals are likely to find if extremely difficult to turn on the read aloud feature without sighted assistance. The NFB also suggests that the menus themselves should be read out aloud to the user for better universal access. The participating universities – University Of Wisconsin-Madison and Syracuse University, New York – have declared that they will not implement the Kindle on a larger scale before it becomes more universally accessible. Even though this is a hurdle for Amazon, it does prove that Kindle is still the only eBook reader that has made significant forays into classrooms. And this hurdle is not likely to last very long either. The demanded universal access features will no doubt be added soon because they are already commonly found in devices. Kindle currently has a bright future in the education field if the corporation behind it plays all its cards right. And so far, the steps taken in this direction have been quite fruitful. If Kindle is fully integrated into the education system, it will probably be the beginning of a mini-revolution that will change the way education is imparted. Kindle support is being added to Blackboard, a leading Course Management System (CMS). They’re an important ally for Amazon to have, since Blackboard software is widely used by schools at all levels of education as the primary means of supplying course materials online. Even at the university level, Blackboard (along with their competitors) is used to distribute notes, quizzes, lectures, etc. online. Kindle support is being added by the release of a new “building block” for Blackboard. All that a school’s web developer needs to do is add the block to their Blackboard server and presto, Kindle owners can now download their class materials directly to the device. Little work for the school, and no effect for students that don’t own Kindles, but a small, nice benefit for the Kindle users. This is the type of educational use that has the potential to be, at least for now, the most successful on the Kindle and will avoid any potential legal troubles. It looks like Amazon is rallying business partners (another example being Microstrategy support for Kindle) to create an eco-system around Kindle as it’s starting to face increasing competition.